The Eagles are decimated at safety, which makes Sunday’s test tougher. Sep. 22, 2017, 11:00 a.m.
Eagles defensive coordinator Jim Schwartz may face his toughest test this weekend. No, it’s not because the Eagles are facing Eli Manning in the home opener Sunday. No, it’s not because Odell Beckham Jr., who made his season debut on Monday night, should be closer to full speed. No, it’s not because the Giants are “due” for a win, even if maybe they are. Schwartz’s test has little to do with the Giants at all. This weekend’s test has more to do with the fact Schwartz might not have enough healthy players to fill out a lineup. Thursday’s injury report looked a lot like Wednesday’s, listing starting safety Rodney McLeod and backup safeties Corey Graham and Jaylen Watkins as out. Add in top cornerback Ronald Darby, a mainstay on the injury report after dislocating his ankle in Week 1, and lack of depth in the secondary is, without question, the team’s primary concern. The other options at safety, if Graham, Watkins and McLeod are all unable to play, are special team specialist Chris Maragos, who has played safety before, or either a linebacker or cornerback moving to safety. The issue with moving a corner to safety — which was actually a suggestion by the only healthy safety, Malcolm Jenkins — is that the team is already thin there too. With Darby out for another month, Schwartz has had to juggle his corners more than he anticipated. Jalen Mills starts on the other side of where Darby was, and Patrick Robinson and rookie Rasul Douglas have stepped in admirably so far, but the Eagles have been so thin at corner they’ve often used a safety in nickel situations. Now they may be forced to go the other way and put an extra corner on the field? The best way for Schwartz to put less pressure on the beleaguered secondary is to get to Manning quickly. The Eagles didn’t blitz much against the Giants last year — something Schwartz attributed to Manning calling plays at the line of scrimmage and running three wide-receiver sets a lot — but the defensive coordinator did stress that getting pressure on Manning to get him to throw the ball quicker than he wants can take pressure off the secondary. Numbers don’t always tell the whole story this early in the season, as the Eagles faced two high-powered offenses in two weeks, both on the road. But Schwartz’s defense ranks 11th in yards and 18th in points per game so far, though middle-of-the-pack rankings could be attributed to short fields after turnovers or one big play — like the 50-plus yard run to Kareem Hunt last week — that throw off the numbers. Without question, Schwartz’s defense is getting (and taking) credit for the Week 1 win, so much that the build up to Week 2 was almost as much about Schwartz angling for Doug Pederson’s job as it was Pederson facing Andy Reid. In Kansas City, without half his secondary, Schwartz’s unit held the Chiefs to just six points in the first half and 344 net yards. The week before, in New England, Reid’s offense put up 537 net yards, en route to a 42-27 trouncing of Bill Belichick’s Patriots. In that context, 27-20 didn’t look so bad. Philadelphia Eagles head coach Doug Pederson (L) and defensive coordinator Jim Schwartz (R). There’s an old saying in Philly that the most popular player on the Eagles is the backup quarterback. Well, this iteration of the Birds has a quarterback everyone seems to love. And so, the de facto backup quarterback has become, in many ways, the defensive coordinator. Even after the Eagles won in Week 1, people wanted Pederson fired so Schwartz can replace him. Jeff McLane of the Inky had a whole report that Schwartz may be angling for a promotion. Recall the much-ballyhooed comments by former NFL executive Mike Lombardi that called Pederson’s qualifications as a head coach into question? Lombardi and Schwartz are longtime friends. Despite both Pederson and Schwartz trying to tamp out the flames of unrest that Lombardi’s comments fanned, the biggest position battle of the season so far hasn’t been at running back or left guard — it’s in the coaching ranks. Who would you, Eagles fans, rather have as head coach? Would you pick someone with little experience, or someone with bad experience? That’s what the question above is really asking. Pederson has coached 18 games in the NFL and he’s 8-10, losing eight of those 10 games by one score. Schwartz, on the other hand, is a fantastic defensive coach who was a terrible head coach in Detroit. When Schwartz first became a defensive coordinator in Tennessee he took one of the worst units in the NFL and turned them into a top defense. After a few rough seasons during his tenure, Schwartz spun the Titans back into a top-5 unit, and parlayed that into the head coaching job in Detroit. Within two seasons the Lions were one of the top defenses in takeaways, middle of the pack in points and yards surrendered. But Schwartz’s teams were rife with discipline problems (on and off the field) and they made the playoffs just once in his five years in charge. Schwartz went 29-51 as head coach in Detroit. Sure, the Lions went 2-14 in his first season, a year after they went 0-16, so it’s hard to blame him for that. And it’s certainly a credit to Schwartz that he took that moribund franchise and turned them into a 10-win playoff team in three seasons. But what happened after that? 4-12 the year after making the playoffs. 7-9 the year after that. And there was drama everywhere. 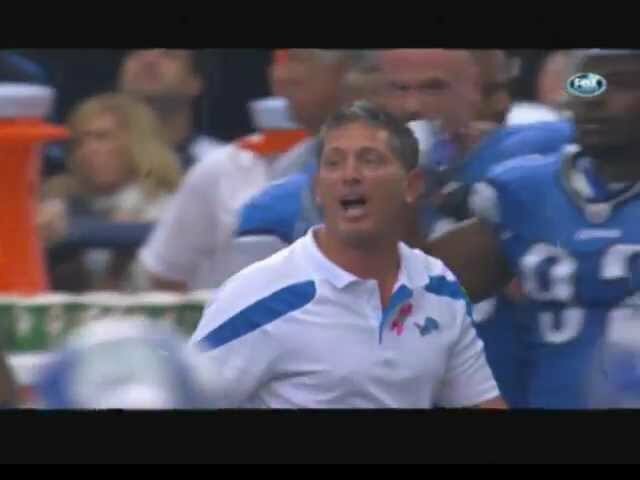 After Schwartz got fired in Detroit he landed in Buffalo as the defensive coordinator. That Bills’ defense instantly became one of the league’s best, but even then, Schwartz couldn’t help but make it about himself. 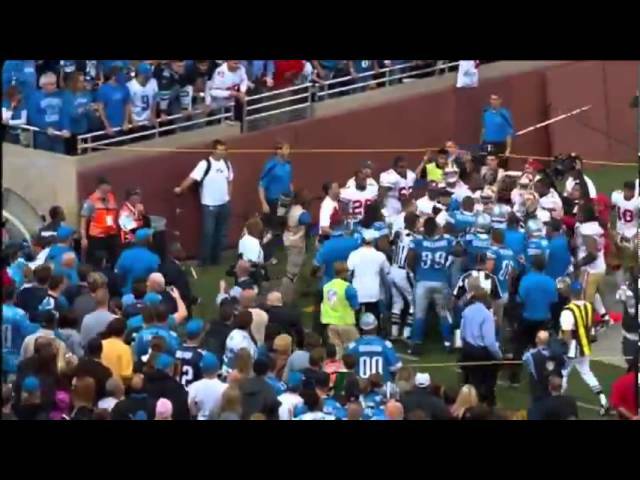 When Buffalo beat the Lions in Detroit that year, Bills players carried Schwartz off the field. Sure it was in jest, but if there’s one way to usurp a head coach, it’s letting your team carry you off the field as DC. So, really, as good as Schwartz has been for the Eagles, it’s not surprising that all this head coach talk keeps happening. It almost a little surprising there hasn’t been more. Schwartz was fired along with head coach Doug Marrone in Buffalo after that one season, and despite a few interviews, didn’t land a coordinator job in 2015. When Pederson took the job in Philly in 2016 he and the Eagles front office convinced Schwartz to join them. Instantly, the power dynamic became apparent on the staff. Last September, talk had already started about Schwartz interviewing for head coaching jobs. That talk continued throughout the season, lessening as the Eagles fell out of playoff contention, but even after last year’s 7-9 record there was talk Schwartz would be gone. He stayed, in large part because he wasn’t offered a job anywhere else, but that hasn’t stopped the talk of him becoming a head coach again. Before the season began, NFL.com put Schwartz on a list of coordinators in line for head coaching jobs. That list came out two days before Lombardi’s comments about Pederson. When Lombardi went on his “let me explain” tour in Philly, much of the talk was about, yes, Schwartz. So for two full weeks fans and media have debated which coach is better for the Eagles, the one they have or the one…they…have. It’s clear Pederson isn’t a well-liked coach in town. Even when he wins people find reasons to hate on him. But Schwartz? He’s the backup quarterback. He’s the guy some fans wish they had at the helm, and through two games his defense is justifying that sentiment. Should the Eagles beat the Giants Sunday, it will surely be thanks to Schwartz’s defense. The Giants’ offensive line is terrible, and the way the front seven for the Eagles is playing, it could be a long day for Manning, and a great day for Schwartz. Especially with the secondary as decimated as it is, a victory could become something of a signature win for him. He’ll instantly become the hot name on the coaching carousel. If he isn’t already. Here, and everywhere.